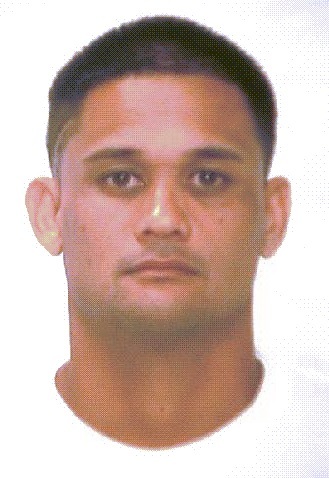 HONOLULU – Work furlough program inmates Jerone Batalona failed to return from a furlough pass to the Laumaka Work Furlough Center this evening. Batalona left this morning on a job-seeking pass and was scheduled to return by 5 p.m. State Sheriffs and Honolulu Police were notified. Batalona was serving time for Robbery 2. Escape 2 is expected to be added to his charges. His next parole hearing was scheduled for March 2016. Batalona is classified as community custody which is the lowest custody level. He is 41-years old. He is 5’8” and weighs 182 lbs. He has brown hair and eyes. If you see Batalona, call 911.